Cross-device attribution. These 3 words are responsible for headaches, missed opportunities, and ad waste for online advertisers and marketers everywhere. And while it’s true that cross-device attribution is hard, there is a solution, and like most solutions to today’s advertising and marketing problems, it involves data, in particular, a data management platform (DMP). 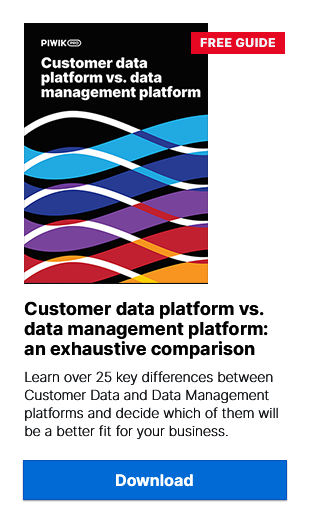 While data management platforms (DMP) are responsible for a number processes, their main duties can be divided into 3 areas – data collection, segmentation, and activation. And it’s the data collection part of a DMP that is the first step to tackling cross-device attribution. Collection – using tags, APIs, and server-to-DMP integrations to collect first-party data from a range of online and offline sources (e.g. web analytics tools, marketing automation platforms, CRM systems, transactions systems). Third-party data can also be collected by connecting with various data suppliers. Normalization and enrichment – gathering IDs from web cookies, removing redundant data, and enriching the data by adding additional data points – e.g. geolocation and OS/browser attributes. Profile building – transforming the collected data into events & profiles and matching data sets by using common identifiers – e.g. email addresses. Now that you’ve collected all these data sets, it’s time to move onto the next stage – matching users across different devices. Currently, there are 2 ways you can identify and match a user across different devices – deterministic and probabilistic matching. Deterministic matching uses common identifiers, such as email addresses, login details, postal addresses, and phone numbers to make a match. As companies like Facebook, Twitter, and Google require users to login to access their applications, they are able to deterministic match users across different devices with a high degree of accuracy. But it’s not just the big fish that are able to harness the power of deterministic matching. With the help a DMP, websites like Airbnb and brands4friends that require their users to log in on both desktop and mobile devices to use their services are able to better utilize their first-party identifiers (e.g. email addresses and device IDs) by collecting them and matching them together in one place. Probabilistic matching uses various pieces of data, including IP addresses, location, interests, age, and gender to match users across different devices. These matches are usually provided by third-party vendors such as Drawbridge, but companies can utilize the data in their DMP to assist in the probabilistic-matching process. While it isn’t as accurate as deterministic matching, probabilistic matching does provide better scale and allows companies that don’t have access to deterministic data to attribute sales and conversions across devices. In order for deterministic and probabilistic matching to work properly, large amounts of both first-party and third-party data need to be collected, aggregated (typically from hundreds of publishers) and stored in one place, making a DMP a critical part of the whole cross-device attribution and tracking process. Once You’ve Achieved Cross-Device Attribution, What’s Next? Apart from the obvious reason of being able to accurately attribute conversions across different devices, which in turn allows you to improve your advertising and marketing spend, there are a few other advantages of being able to identify and track users across multiple devices. Cross-device targeting (aka cross-device tracking) involves identifying users as they move across different devices for the purpose of displaying them with online ads. It allows them to improve the performance of their online display advertising campaigns by displaying relevant and retargeted ads – e.g. if a consumer viewed a pair of shoes on a website on their mobile phone, then the shoe company can display them a retargeted ad on their desktop. It provides more reach – e.g. instead of being limited to displaying ads to consumers on their desktop, advertisers can display ads to consumers on their desktop, smartphone, tablet, etc. Advertisers not only aim to improve and optimize online display campaigns, but also reduce wasted ad spend. Some forms of ad waste are hard to control, such as ad fraud, but others can easily be managed provided advertisers have access to the right tools and data. And one such area of ad wastage that can be controlled is frequency capping. Frequency capping involves restricting the number of times a consumer is shown an ad and can be adjusted to suit the goals and needs of the advertiser. So for example, an advertiser may choose to only show an ad to the same user 5 times within a 24-hour period. The whole point behind frequency capping is to reduce ad burnout, which generally occurs when a consumer has seen the same ad repeatedly over a short period of time – therefore reducing the ad’s effectiveness. Another benefit of being able to identify and track your visitors and customers across multiple devices is that you can better understand their behavior across all devices. By doing so, you can learn more about your audience and discover how they behave and interact with your website or app during their customer journey (e.g. maybe they start their journey on a smartphone and finish it on a computer). All of this new information will not only all you to optimize the customer journey, but it’ll make cross-device attribution a lot more accurate and you’ll be able to identify which channels (and which combinations) are performing the best and which ones aren’t, allowing you to improve your advertising and marketing efforts.